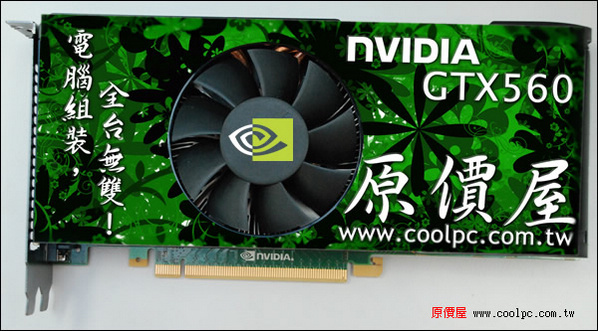 Here are the first pictures of an NVIDIA reference design GeForce GTX 560 Ti graphics card. The pictures reveal quite a bit about the PCB layout and the cooling assembly. 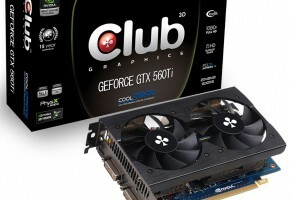 To begin with, the card is longer than the GTX 460, and uses a more refined cooler. 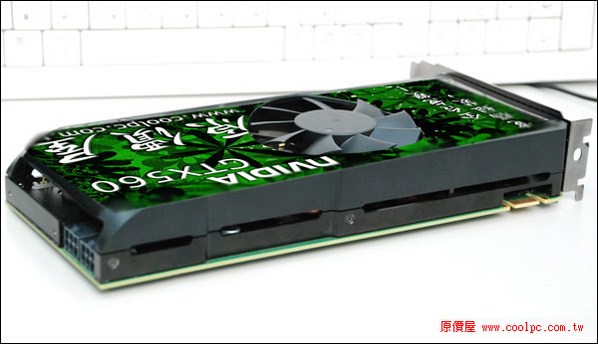 The GF114 GPU uses a rectangular package, much like the GF104. The eight GDDR5 memory chips lie adjacent to the GPU. 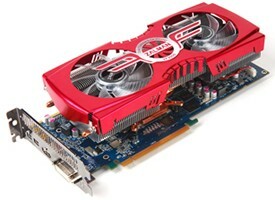 Power supply consists of 4-phase GPU, single-phase memory, and is drawn in by two 6-pin PCI-E power connectors. 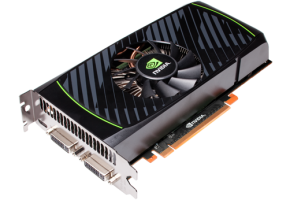 SLI is restricted to 2-way, and display outputs include two DVI and one mini-HDMI. Although the PCB is green, one can expect it to come in various colors depending on the partners’ specifications. 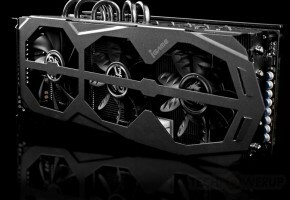 The cooling assembly, as mentioned earlier, is much more refined compared to the previous generation. 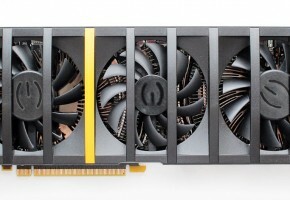 The GTX 460 cooler was not much more than a GPU heatsink with radially-projecting aluminum fins, covered by shroud. 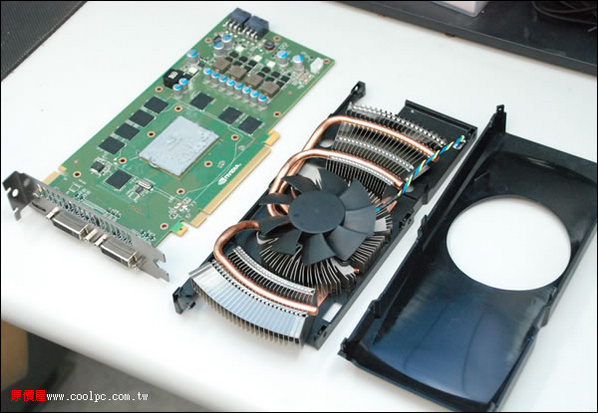 With the GTX 560 Ti, NVIDIA used a base-plate unisink, which collects heat from other components such as the memory and VRM, and conveys it to the GPU heatsink, which is much more elaborate, and uses 8 mm thick copper heatpipes to spread heat across a much larger heatsink. The design of this heatsink seems to be inspired from MSI’s Cyclone cooler. Don’t mind the flowery-green “sticker” that’s Photoshop’d to the shroud, it’s not part of the reference design. That’s where partners can either demonstrate their creativity, or show off their anime fantasies.